Would there have been a need for a 700 Billion dollar bailout if the Private Attorney proposed legislation was national law and these White Collar Criminals and Judges had to fear being arrested and prosecuted? US District Judge Ann Montgomery ordered the seizure of the Petters companies’ assets at the DOJ’s request and has frozen the personal accounts of individuals charged or under suspicion. But according to a St. Paul Pioneer Press article, she repeatedly thwarted an investor’s attempt to obtain $1.3 million he says was stolen from him by Petters Company, Inc.
Richard Hettler, who started investing with Petters in 1997, claims PCI gave him two hot checks totaling that amount in January 1998 in payment of promissory notes. He sued in 2002 but Montgomery not only dismissed it, she barred him from filing further lawsuits over the notes. 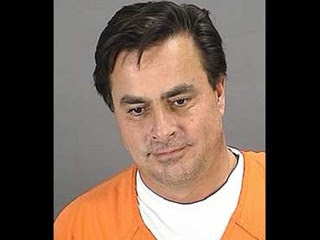 In 2005, when Petters announced that he was buying Polaroid, Hettler went public with his accusations, only to have Montgomery grant a restraining order against him at Petters’ request. And in Decemeber of 2006, Montgomery granted a Petters motion to hold Hettler in contempt of court for posting “inflammatory” material online, and ordered the material removed. There’s much more; read the whole story here. Petters’ reputation and record couldn’t find out about those fraud charges. just hired to represent his companies. Kelley went way back with Montgomery. together in the U.S. Attorney’s office. Meanwhile, numerous creditors were suing Petters in different states. “judicial immunity,” the same protection from lawsuits that judges enjoy. The following article mentions General Ashcroft who was given numerous opportunities to disclose corrupt bankruptcy judges which he reported before he left office reporting such judges as members of a crime ring in our national courts- his failure to disclose led to the Polaroid swindle which bankruptcy predators Ashcroft now protects purchased Polaroid for $426 million in swindled cash less than a year ago.. Ashcroft’s comments on all of this to this author? "I can't or won't get involved" making him as criminal as the judges he reported and now protects- now Ashcroft lobbies for millions on Capitol Hill working with congressional members who should have prosecuted Ashcroft and every one else who has looked the other way. In this day’s Meet the Press exchange between Tim Russert, Congressman Jim Sensenbrenner, and Senator Chuck Hagel, Russert opened the program with a discussion on the FBI’s recent raid on Congressman William Jefferson’s office to locate evidence relative to his already validated bribery. Louisiana Congressman William Jefferson was videotaped accepting a $100,000 bribe. FBI agents found $90,000 of it in his freezer. In Washington, according to Time Magazine, that’s known as a bribe-sicle. In the real world that’s known as government corruption and grand theft however in Washington, that’s business as usual. Sensenbrenner commented that no corrupt member of congress can hide behind the speech and debate clause [Article 1 Section 6] of the US constitution to shield criminal activity, and therefore, one could not advance arguments in re the congressman’s apparent indemnification against criminal prosecution, notwithstanding the Bush Administration’s ordered hold on matters for 45 days. This, said Sensenbrenner, is part of the checks and balances intended by congress. Other allegations of criminal wrongdoing were also directed toward Speaker Hastert but were uncommented upon by Sensenbrenner. In this age of government corruption including the judges John Ashcroft has already accused of participating in such organized crime [as did the Minneapolis FBI in December of 2001] in some of our highest courts, such corruption is not confined just to Capitol Hill, there are criminal judges serving all over this country and the worst kind of a criminal would have to be a judge on the take. Senator Hagel averred that no individual is above the law to which everyone he said would agree- however, in the Polaroid matter, competent evidence has been brought to congress, and everyone else for that matter, ever since the Polaroid scandal hit the airwaves. It began in October of 2001 when Jacques Nasser put Polaroid unlawfully into bankruptcy, and it continued when Minneapolis based Thomas Petters unlawfully purchased Polaroid out of bankruptcy from Nasser for $426 million in cash he swindled from this author and various and numerous other senior citizens across the country. As a consequence of the bogus bankruptcy, Congressmen Bill Delahunt and Congressman Martin Meehan of the Massachusetts delegation led a coalition of other members of the Massachusetts delegation including Senators Kennedy and Kerry to urge Nasser and Polaroid officials to honor the pension plans of disenfranchised Polaroid employees who, notwithstanding this congressional scolding, lost their jobs, their pensions, all of which sent the bill for all of this to Public Benefit Guaranty Corporation and every taxpayer in this nation. Because of what such delegation members initially did and later walked away from, as one of their many victims, author recently went to Washington, in order to make appropriate discoveries from the congressman and the Senators who were apparently outraged over the Polaroid swindle. Author asked Delahunt prior to his visit to Washington to come forth with information known to him and the rest of his coalition as to the Polaroid swindle on which all 12 members of the Massachusetts delegation wrote in behalf of their constituents, all of whom were victimized by Nasser, Petters et al corroborated swindle of money to bankrupt Polaroid [substantially liquid at the time Polaroid was put into bankruptcy] and then take it back out of bankruptcy for $426 million in cash which Petters stole from author and various other senior citizens. This widespread swindle left author, his family, and tens of thousands in Massachusetts without jobs, pensions, their life estates, etc leaving the bill for all of this court sanctioned crime, as Senator Grassley has espoused, to be paid by the Public Benefit Guaranty Corporation [PBGC] and ostensibly each and every taxpayer in this nation. It is interesting to note that ever since the Polaroid swindle was completed in June of 2005 by Minneapolis entrepreneur Thomas Petters, and the money distributed to those who effected such swindle, all members of the Massachusetts congressional delegation went mysteriously silent and one must ask why this body of legislators who earlier had championed this assault upon Nasser and Polaroid in behalf of their victimized constituents suddenly went silent. US Attorney David Kelley, in the near aftermath of the Enron conviction of Lay and Skilling, said that “where there is money, there is crime” and Kelley had much earlier turned the Minnesota [where Petters lives]component of this massive swindle over to the SEC for a criminal investigation, as Sensenbrenner’s colleague Congressman Lamar Smith did the same with the Criminal Section of the Civil Rights Division at Department of Justice, and as three United States senators asked for a criminal investigation with the FBI and the US Attorney's office, including Paul Wellstone, now deceased, Mark Dayton, and Norm Coleman. The uncontested evidence of this swindle was turned over to the SEC in June of 2005 by US Attorney David Kelley, just prior to the court’s [US District Court for New York’s Southern District] decision to allow the swindled taking of Polaroid by Minnesota entrepreneur Thomas Petters who had earlier worked with Jacques Nasser and other Wall Street con artists to put Polaroid unlawfully into bankruptcy in the Delaware district. This author has researched the trail of the money movement by Nasser and Petters and has produced prima facie evidence that millions of dollars have been swindled from he and tens of thousands of other victims in Massachusetts. This is why author asked Delahunt and other members of the Massachusetts delegation to come forth with evidence they are withholding which would indict those who effectuated such swindle. In fact, when this author went to Congressman Markey’s office on this, Markey apologized to author and the author told Markey that he didn’t think his apology would have any meaning to the thousands he [Markey] and his other Massachusetts congressional delegation members had deserted at this critical stage in this time of need. Now the matter has been referred to the Department of Labor and its Employee Benefits Security Administration [EBSA] who is investigating in Washington as well as they are in Boston, Massachusetts, as is the SEC and the IRS for fraud on various criminal counts, and with all of this going on, each and every member of the Massachusetts delegation continues to fail to supply information which this author has requested to indict Petters, Nasser et al for various counts of fraud in the Minnesota, Colorado, California, New York, Delaware and Massachusetts districts. Moreover, and again while in Washington, the author went to Congressman Henry Hyde, with whom the author rode into Washington from Chicago the previous day, and told Hyde his story. Hyde told the author that this was something that he should have taken to his state’s [Minnesota] congressional delegation which of course the author did on many previous occasions. Hyde said “why don't you just get the media and head upstairs to Congressman Ramstad’s office and demand that he do something”. Sam Stratman, Hyde’s liaison, was directed by Hyde to look at the author’s evidence which included millions of dollars in bounced checks by Petters on at least seven (7) promissory Notes which Petters failed or refused to honor. Stratman couldn’t understand how Petters could ever have gotten away with this where after author told Stratman to ask the judge who Petters had paid. The author told Hyde that all that was done to him could only be resolved by the various congressional committees who oversee crime and criminal judges in particular, but that given such corruption, it wasn't likely that any of such congressional members would even convene a hearing or entertain remedies. The author asked Henry if he [as the prior chairman of the House Judiciary Committee] could take the matter to Jim Sensenbrenner, its current chairman, so that the author could have the matter heard by the committee and have at least the corrupt judges involved indicted, but that went nowhere. Next, the author went to see Congressman Lamar Smith, who in 2002, demanded that the Criminal Section of the Civil Rights Division at Department of Justice criminally investigate the matter. Smith chairs the subcommittee on the courts and the federal judges who preside over them- the very same judges Ashcroft identified as corrupt and who operate as a ring of organized crime in our national bankruptcy courts. Even after Smith made these demands and DOJ did nothing, FBI Director Mueller directed his unit chiefs at the bureau’s Government Corruption/ Public Fraud units to investigate and they did nothing. The FBI as well as the US Attorneys office had previously been asked to criminally investigate by US Senators Wellstone, Dayton and Coleman and again did nothing. Had any of those who had these massive crimes referred to them acted on such requests, the Polaroid swindle would never have happened, but now that it has, every taxpayer in this nation will have to pick up the tab because the people they voted into office left them high and dry. They’ve been left high and dry because the judges, as criminal as they are, can do anything and get away with it. If anyone in this country needs money, they go out and get a job. Bankruptcy judges, when they need money, they pick up the phone to schedule a hearing with a bankruptcy Trustee who the judge knows has money in his or her trust account, and literally at the stroke of a pen, he or she moves that money out of the trustee’s trust account into his or her or their spouse’s offshore bank account. This is what US Trustee Barbara Stuart did in Minnesota in the author’s case and even though General Ashcroft fired her for that, the author still lost his money to these corrupt judges. Author was recently questioned why a corrupt bankruptcy judge would jeopardize his or her career over a $50,000 bribe but the answer soon became apparent- if this judge has a backlog of cases as most of them do, and can schedule 20 such hearings in a month at $50,000 a crack, just do the math- $1,000,000 per month on top of his or her salary paid for by the taxpayers of this country who in return have absolutely no justice available to them in a court of law. This is what the respective bankruptcy judges [just in the Polaroid bankruptcy swindle] did in both the Minnesota and Delaware Districts and after this money had been swindled, those who bribed the judges, siphoned hundreds of millions of dollars out of Polaroid, the employees, their investors, this author and his family, and left the bill for all of this to each and every taxpayer in this nation. Ask Labor Secretary Chao, ask Senator Grassley, ask General Ashcroft, ask the tens of thousands of Polaroid ex-employees who had their lives ripped apart- the story is the same, the resolution is also the same- nothing- why?--because the attorneys and trustees who built this nationwide ring of organized crime as reported by Ashcroft in his article on corrupt bankruptcy judges, have undaunted power given to them by corrupt bankruptcy judges [on retainer] to have anyone who interferes with this machinery killed or thrown in jail. It’s that simple, This is what happened to this author, it is what happened to others similarly aggrieved in the San Francisco district. In one instance alone, they shot and killed [on the steps of the San Francisco federal courthouse] a lawyer who was enroute to the US Attorneys office to blow the whistle on various corrupt judges. What did Congressmen Sensenbrenner, Smith and Senator Specter do about this? Nothing. What the author’s case and the case involving the swindle of the tens of thousands in the Massachusetts delegation has produced is nothing because all those who are empowered to act on this have apparently been paid to look the other way, including the judges already identified by General Ashcroft. This apparently includes the Massachusetts congressional delegation, and various members of the Senate and House Judiciary Committees before whom the author has asked hundreds of times to appear-and such requests were directly brought to their respective chairs; that is, US Senator Arlen Specter and Congressman Jim Sensenbrenner, as it was brought to Congressman Lamar Smith who chairs the House’s Subcommittee on the Courts on which Mr. Sensenbrenner also serves as a member. Is this country a runaway train or is congress everything Jim Sensenbrenner and Senator Hagel represented it to be on Meet the Press? While it is possible that the midterm elections will clean house, it is not likely because most people cannot even begin to comprehend just how bad things are in Washington, given Jim Sensenbrenner’s apparently meaningless comments and those of Senator Hagel who each apparently still believe, or would like to have others believe that no one is above the law. This simply is not the case- in this country, justice belongs to the owner of the fattest wallet, and more often than not, that wallet got fat because a judge stuffed it with stolen money while your elected officials kept insisting that no one is above the law. What has all of this congressional indifference to the law cost us as a society? By 2004, PBGC’s surplus had turned into a $23 billion deficit. By the end of this year, the shortfall may top $30 billion. As the Government Accountability Office put it earlier this year: "PBGC's accumulated deficit is too big, and plans simply do not have enough money in the system to back up the long-term promises many employers have made to their workers." To add to its woes, the agency has a record 350 active bankruptcy cases, according to Bradley D. Belt, executive director. Of those, Belt told Congress, "37 have underfunding claims of $100 million or more, including six in excess of $500 million." Barring a reversal in congressional indifference to those who mobilize corrupt bankruptcy judges to stuff their offshore bank accounts such as those in particular who assaulted the author and the tens of thousand of Polaroid victims, the PBGC could require a multibillion-dollar taxpayer bailout. The last time that happened was during the 1980s and '90s, when another government insurer, the Federal Savings and Loan Insurance Corp., was unable to keep up with a thrift industry spinning out of control. The Federal Government eventually spent $124 billion. Unlike the FSLIC, which was backed by the U.S. government, the PBGC is not. That means an indifferent Congress could turn and obviously has turned its back on the existing crisis and the much larger crisis it will face because of our corrupt government and those we send t Washington each year to keep us out of harm’s way. By the agency's estimate, that would translate into a 90% reduction in pensions it currently pays, and a shifting of all of this bill to the PBGC which of course is now essentially bankrupt and by necessity will have to send the final bill for all of this unacted upon and tolerated corruption, as Senator Grassley has correctly asserted, to each and every taxpayer this country. The predators who “raped” Polaroid [reported on by the Boston Globe] in particular, including the corrupt bankruptcy judges who issued the corrupt orders, have already squirreled their victims’ money away and now roam the world unrestricted looking for new victims. They did it in Minnesota, New York, Colorado, California, Massachusetts, and Delaware- and your state may be next. All they require is a federal courthouse staffed, as they all are, with corrupt bankruptcy judges who await instructions [and money] from their predator petitioners. Anyone with money, can buy a corrupt judge especially a federal bankruptcy judge who this country’s chief cop, John Ashcroft, has already identified as the worst kind of criminal- his article is available to anyone merely by emailing the author at msp3430@hotmail.com. When the author disclosed all of this to Congressman Hyde and his liaison Mike Stratman [who looked though all of the compelling evidence of this swindle including millions of dollars in bounced checks and unpaid promissory Notes of Petters, plus confession affidavits on the bankruptcy fraud], both Hyde and Stratman asked the author why he supposed nothing was ever done about all of this. The author’s response? You tell me- this is why I came to Washington. One of the documents contained in the author's extensive amount of evidence on this swindle was a letter signed by all twelve members of the Massachusetts delegation; that is, Senators Kerry and Kennedy, Congressmen William Delahunt, Martin Meehan, James McGovern, Michael Capuano, John Olver, Richard Neal, Barney Frank, John Tierney, Edward Markey, Stephen Lynch. Author vividly remembers Stratman holding this document in the air telling author that this [the signed letter by each delegation member to Polaroid’s Chief Counsel Neal Goldman demanding that Polaroid honor its pension obligations to the tens of thousand of their constituents] was a very powerful letter. Author told Stratman that he didn’t agree because every Massachusetts delegation member had turned their back on the problem, and that he [the author] could think of only one reason why and that was that they were paid to back off- this is why author asked Delahunt and the other members to disclose documents which they thus far have failed or refused to do. In fact, after the author flew over 1,000 miles to come to Washington, Delahunt wouldn't even get out of his chair to acknowledge author’s presence, who stood just 4 feet away from Delahunt in his office. After Stratman failed or refused to do anything, Hyde told author, “well, I just can’t get involved; I’m retiring this fall after 33 years in congress”. Hyde wouldn’t even pick up the phone to call his buddy Jim Sensenbrenner, who replaced Hyde as chairman of the House Judiciary Committee. What Hyde and Stratman didn’t do, failed or refused to do, etc had nothing to do with Henry's imminent retirement- it had to do with their knowledge that this is a hot political potato and they don’t want to get caught up in the corruption. What neither of them realize is that by their failed or refused actions, they’re already involved in the corruption. Hyde also refused, as author had requested, to call Senator Specter or comment on why all 12 members of the Massachusetts delegation suddenly went silent on all of this after the money was distributed. Had Hyde done the very least of what author had expected of him, author would have stood a chance of having this swindle heard by Specter’s Senate Judiciary Committee, Sensenbrenner’s House Judiciary Committee, and Smith’s House Subcommittee on the Courts which, notwithstanding the past, is the only apparent path of remedy for the author and the tens of thousands who were ripped off by Polaroid predators Nasser and Petters. 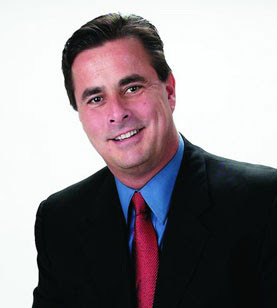 Now in the aftermath of this swindle, author has asked Massachusetts Governor Romney, and via the Governor, his State Attorney General, and US Attorney to intervene in behalf of his constituents with whom author stands ready to share evidence necessary to criminally prosecute such Polaroid predators. What are the author’s recommendations? call your congressmen and Senators and demand a change- have them call Messrs. Sensenbrenner, Smith, and Specter and demand that their respective committees have this author and the tens of thousands have their cases heard and prosecute those who have abused the system to the imperilment of each and every taxpayer in this nation. The reader’s worst nightmare will be to sit on this. Those deliberating whether to become involved in this matter or not, must realize that if they are waiting for the courts or their elected representatives to restore their lives and life estates, they’re barking up the wrong tree. These financial predators have already spent or squirreled your money away, and are now living lavishly while you worry about paying the groceries or losing your homes. For those in particular in the Massachusetts district, call every Massachusetts delegation member and ask everyone of them today why they have turned their backs on you, and when you do, tell the author who will apprise Department of Labor officials with whom he is working to prosecute those who swindled you out of your entire life estates, your jobs, your earned pensions, and literally have destroyed your lives. This case is far too prominent to cover-up any further- it produced the largest swindle ever to hit Wall Street; that is, the purchase of Polaroid with $426 million in embezzled cash and property by its purchaser Thomas Petters. Fixing this is up to you, call your elected officials today including Governor Romney and demand coverage by the media. The author may be reached at msp3430@hotmail.com. The United States Department of Justice responds to victims of bankruptcy court corruption that they should obtain private legal counsel to pursue civil options. It has been reported from various regions that U.S. Trustees have the type of influence with U.S. Attorneys that hinders justice. In those regions, U.S. Attorneys have an unwritten mandate that requires the FBI to receive their approval before investigating bankruptcy trustees. U.S. Trustees violate RICO and the Sherman Act by targeting bankruptcy petition preparers. Price fixing goes on in the background, and case decisions revealing this secretive price fixing are unpublished. Bankruptcy trustees, and attorneys for U.S. Trustees are so secure in perpetrating federal offenses that they arrogantly boast of what they will do, which tells litigants that their cases are already pre-decided. Bankruptcy judges do not disappoint trustees. They disregard law, binding legal principles and jurisdiction so that trustees prevail. Bankruptcy court corruption is not just a matter of bankruptcy trustees in collusion with corrupt bankruptcy judges. The corruption is supported, and justice hindered by high ranking officials in the United States Trustee Program. The corruption has advanced to punishing any and all who mention the criminal acts of trustees and organized crime operating through the United States Bankruptcy Courts. As though greed is not enough, the trustees, in collusion with others, intentionally go forth to destroy lives. Exemptions provided by law are denied debtors. Cases are intentionally and unreasonably kept open for years. Parties in cases are sanctioned to discourage them from pursuing justice. Contempt of court powers are misused to coerce litigants into agreeing with extortion demands. People wrongfully assume that all victims of bankruptcy court corruption are debtors. You do not have to file for bankruptcy to be a victim of crimes committed under color and claim of official right of the United States Bankruptcy Court. Babysitters, family members, heirs, employers, and employees of debtor companies are victims. Those attorneys who do not submit to the racketeering practices of bankruptcy trustees are victims of the corruption. People wrongfully assume that only the young and financially irresponsible file for bankruptcy. Medical bills and lost of retirement income are also reasons why people file bankruptcy. Divorce can lead into one or both spouses filing for bankruptcy. Unemployment and underemployment results in people filing for bankruptcy. Situations vary, and debtors should not be generalized, neither should judgment upon debtors be used to dilute the ugliness of corruption in the bankruptcy courts. Law enforcement does not refuse to investigate the murder of someone reported to have a bad reputation. However, trustees and the Executive Office for United States Trustees deceive law enforcement and the public by presenting their victims as people who deserve to be victimized. The Department of Justice must investigate federal offenses committed by bankruptcy trustees. The Department of Justice must investigate corrupt bankruptcy judges. The Congress must legislate and pass laws to remove the commission based pay to trustees, which inspires them to misuse and abuse their positions for their personal enrichment. States must pass laws that guarantee full payment of exemptions to debtors when secured property is sold by bankruptcy trustees. States must pass laws that limits commission to realtors and auctioneers who sell real estate in bankruptcy cases. Defendants accused of committing bankruptcy fraud should be provided with a public defender during the bankruptcy case, and a trial by jury. Petition preparers accused of violating Section 110, particularly in suits exceeding $25, should be given Constitutional right to a trial by jury and provided with a public defender. Some reading this may think, "WHAT?" They assume that any case involving allegations of criminal acts or violations of law affords defendants with free legal counsel and a trial by jury. NOT IN THE BANKRUPTCY COURTS. Bankruptcy law is civil. It is the only civil court that provides for U.S. Trustees to prosecute litigants in civil matters to advance criminal charges. Bankruptcy Courts are perfect kangaroo courts. The judges take the word of trustees and U.S. Trustees as "gospel." Judge have no authority to appoint trustees, but do have authority to discharge or retain them in cases. Upon filing bankruptcy, debtors become legalized slaves. Their exemptions are not guaranteed unless the trustee allows them. Debtors have no rights to appeal bankruptcy court decisions pertaining to how much property is sold for, neither distribution of assets, neither amounts distributed to professionals hired by bankruptcy trustees. Bankruptcy trustees are paid a percentage from assets in cases, which motivate them to administer cases for their personal enrichment. August 25th, 2010 the movie "The Second Fraud" will be released at the Uptown Theater at 7pm. 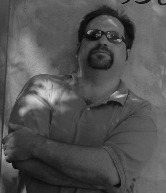 Get free passes at www.thesecondfraud.com. The movie exploits the fraud that continues after Tom Petters has been sent away. Doug Kelley is incharge of the Petters empire and has basically liquidated the whole Petters assets to pay for the fees for himself and fellow attorneys. The victims have not seen a penny while Doug Kelley has invoiced the government for about 40 million dollars,very sad. I heard the movie is going to uncover some very shady dealings between the courts and Kelley, it's a must see. Also Donald Trumps original appertice is going to be on the panel after the movie to answer questions about the continuing fraud. "Ha Ha, I wrecked your life!"